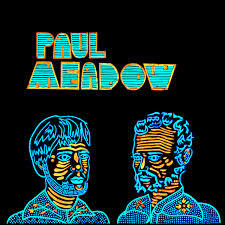 Paul Meadow is a Brooklyn-based pair of former jingle writers named Stirling Krusing and Chris Lee. Labeling themselves as 'slop folk', the sensibilities developed in that advertising world are evident in the snarky single 'I Love This Town', the first song on their recently released EP, Cheap & Easy. With a sing-along chorus of “I love this town/ let’s burn it into the ground,” it’s really hard to go wrong, especially since it was initially designed as a jingle for any two-syllable town, thus instant personalization. With a deceptive spacy intro giving way to a plaintive voice, the song blossoms into gorgeous roots-pop. Second track ('Heart of a Dog') and the title number are both combinations of country mellow and dream pop bliss. There is some hot guitar pyrotechnics on display during these numbers as well. “Killer of Dreams,” is a strong cut, starting out like a ‘50’s ballad, then moving into a Springsteen-ish yarn before exposing the haunting core. There’s a video that captures the mood perfectly. It’s arguably the EP’s strongest track. “Devil You Know” is a jangly joy ride, equipped with a stripe of sweet slide guitar and reverb. “From the devil you know to the devil you get to know better” is a clever chorus, and the song skips along to a noisy, fuzzy coda for this entertaining EP. Maybe it’s the proximity to the holiday, but I felt a distinctive albeit melancholy Christmas vibe while listening to these songs (on the opener, Krusing sings, “I can’t remember last December, calling through a year”). All the songs herein are emotionally evocative while seamlessly moving from quiet to sonic overload and back. It’s a great listen. With this encouraging EP, 2016 may find Paul Meadow moving beyond the Brooklyn confines to go national, and a well-deserved promotion it would be.